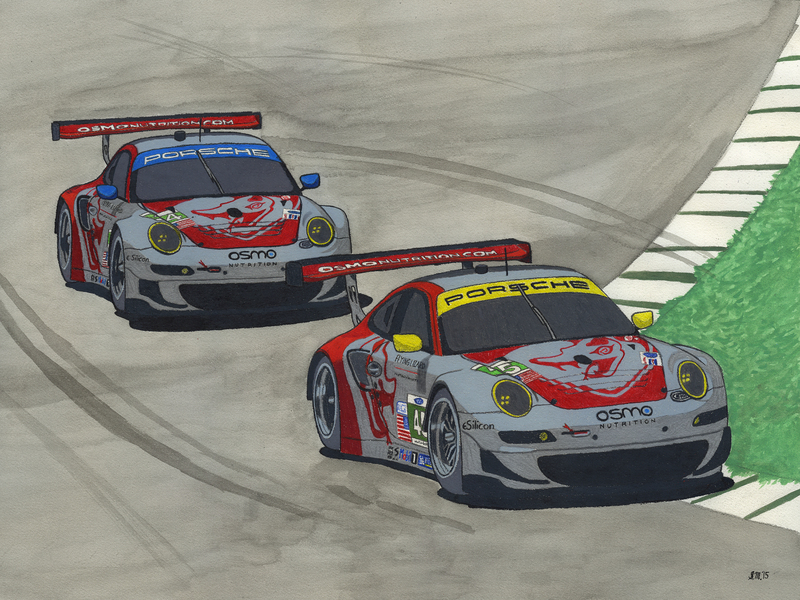 Celebrate the history of Flying Lizard Motorsports with this limited series print; showcasing the team’s pair of Porsche 997 GT3-RSR’s at Lime Rock Park during the 2012 American Le Mans Series season. This print will be a limited run of just 45 pieces; each print will come numbered and digitally signed. Don’t miss your chance to put this stunning piece up on your wall.